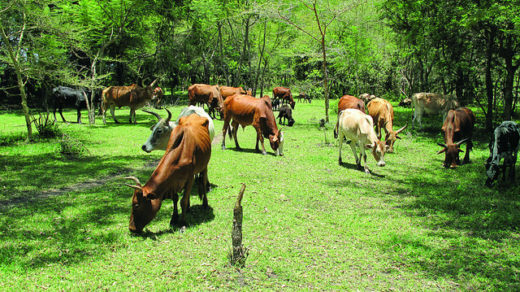 Agroforestry is an agricultural technique that combines trees with shrubs, crops and livestock in a system that produces food, supports biodiversity, builds soil horizons and water tables, and sequesters carbon from the atmosphere (45 gigatons of it, according to one estimate). Over the past year, Mongabay has focused a special series on the implementation and impact of agroforestry worldwide. Two longtime agroforestry researchers are among the long list of keynote speakers: Emmanuel Torquebiau is a senior scientist with the French Agricultural Research Centre for International Development (CIRAD) and has been involved in research and training in agroforestry, biodiversity and climate change since 1980. CIRAD’s climate change correspondent from 2012 to 2018, Torquebiau is the chair of the organizing committee for the upcoming World Agroforestry Congress and is the author and editor of papers and books on forest ecology, agroforestry, biodiversity, and the links between climate change and agriculture. 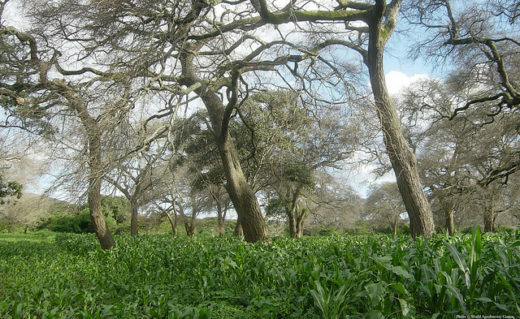 Maize growing under a ‘fertilizer tree,’ Faidherbia albida, which fixes nitrogen and provides shade. Image courtesy of World Agroforestry. 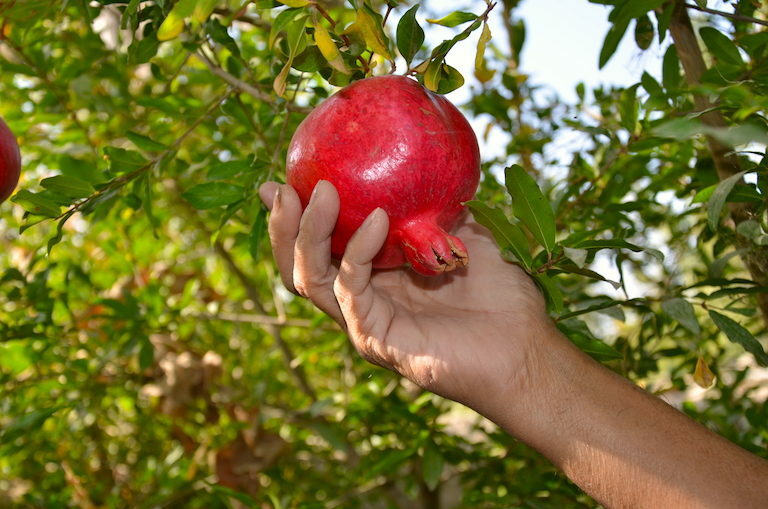 Pomegranate growing in an agroforestry system in Kyrgyzstan. 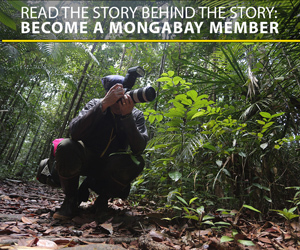 Image by Cholpon Uzakbaeva for Mongabay. Strip intercropping with trees in France. Image courtesy of AgForward. Torquebiau: Payment for ecosystem services (PES) appears to me to be the most innovative linkage between agroforestry and the finance sector. The economic performance of agroforestry cannot be fully assessed by using conventional economic criteria and approaches such as yield, cost-benefit analysis, and net present value. The development of ecological features of agroforestry can be fostered by an innovative economic analysis covering the internalization of externalities such as agrobiodiversity management, carbon sink value, improved nutrient cycling, or integrated pest management. Economic analysis methods should integrate risk buffering, outputs of mixtures of plants with different cycles, and take into account farming strategies with long-term objectives covering patrimonial (asset inheritance) components, flexibility in production, reduced external-input requirements, enhanced aesthetic (landscape) values, etc. 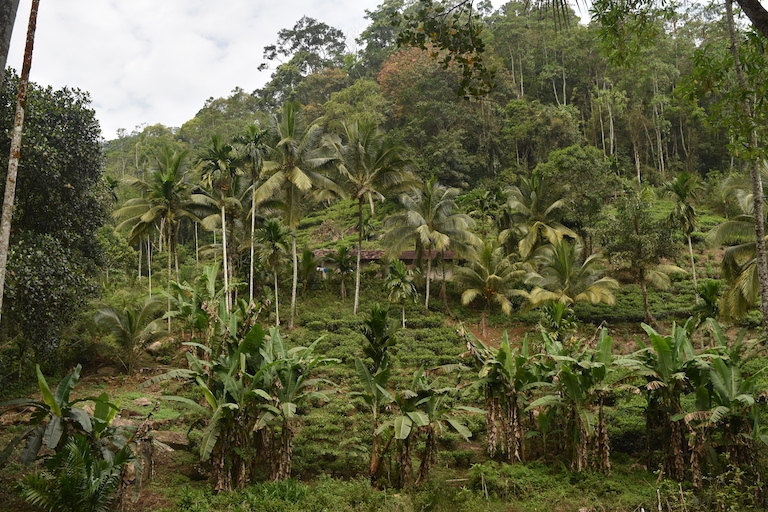 In Sri Lanka, diverse agroforestry plots often surround dense plantings of tea. Image by Chandni Navalkha for Mongabay. 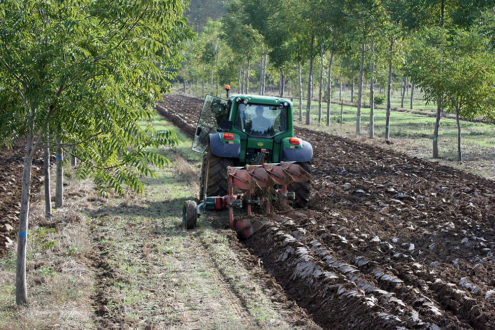 Dupraz: The mere fact that many European scientists and farmers are attracted back to agroforestry shows that it can be the ultimate agricultural practice, not something from the past. And that it makes money. The signal is strong. Many tropical farmers now have the option to skip the disaster of oil-based and chemistry-based intensification and jump right to the next stage of modern agriculture. This is where Europe could provide a strong example: avoid the disaster, jump right now onto the agro-ecological train and adopt agroforestry. 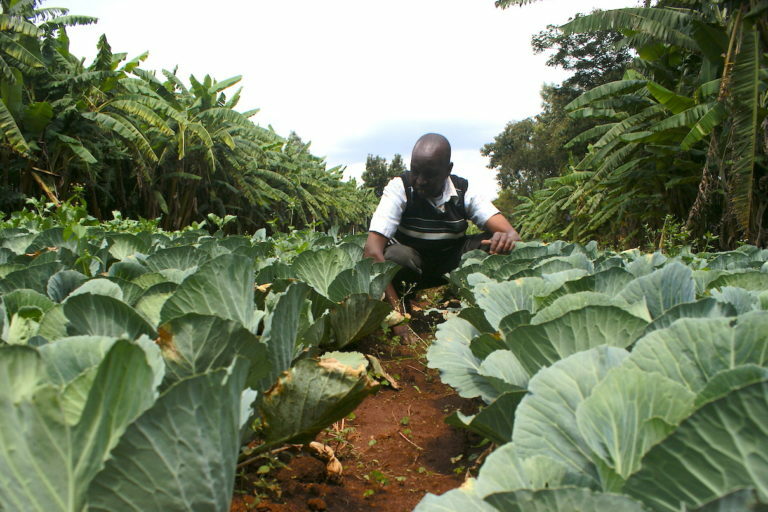 A farmer shows off cabbages growing well in the shade of an agroforestry system in southern Kenya. Image by David Njagi for Mongabay. 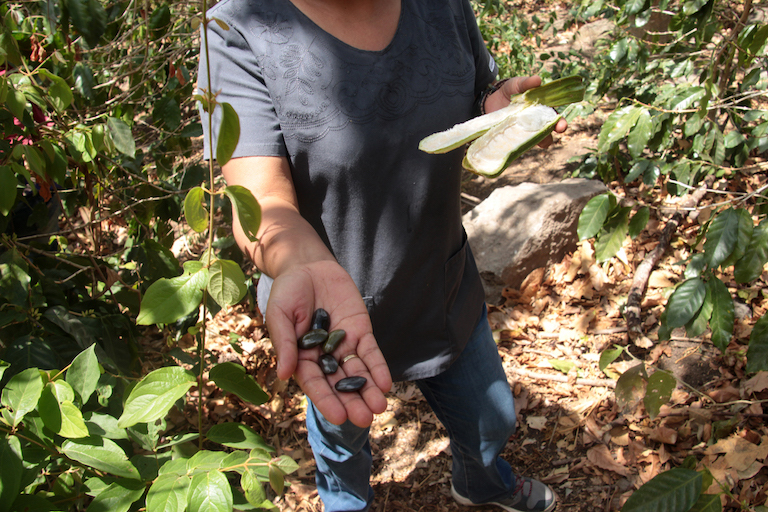 A Honduran farmer displays a guamo fruit and seeds that she plans to replant in her agroforestry system. Image by Monica Pelliccia for Mongabay. Learn about World Agroforestry Congress 2019 and register here, and read more of Mongabay’s series on agroforestry here. Banner image of shade-grown coffee in Nicaragua courtesy of World Agroforestry. A silvopasture system in Tanzania. Image courtesy of World Agroforestry.